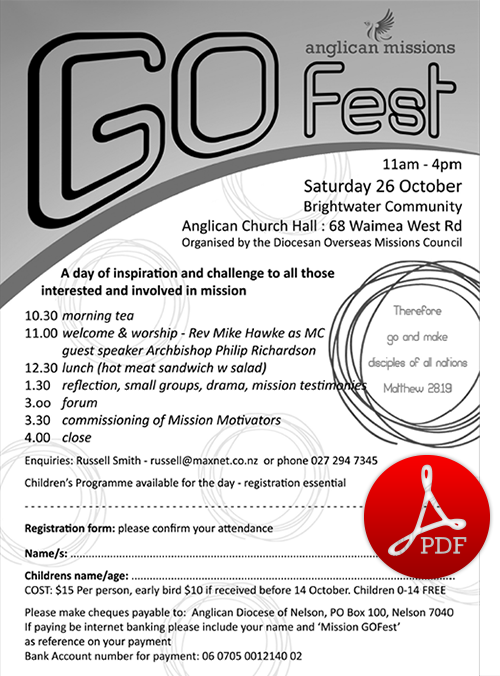 Join the Nelson Diocesan Overseas Mission Council and Anglican Missions for the Nelson Missions Festival in October! Everyone is welcome to join in the singing, stories, and discussion to come away inspired for world mission! All Welcome! Please complete the registration form.